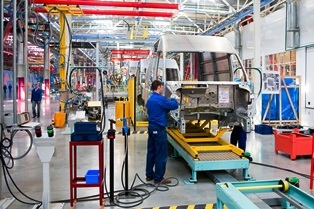 How are automotive assembly workers injured? Jobs at automotive assembly plants—such as the Honda plant in Marysville, Ohio—pay well and offer excellent benefits. Because of this, these jobs are often highly sought after. However, individuals doing this work for some time know on-the-job injuries are relatively common. 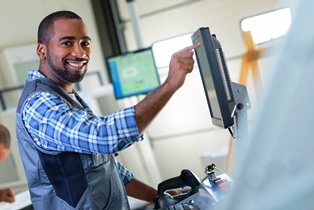 If you're one of the 14,000 autoworkers at Honda or an employee for another automotive manufacturer, learn about how injuries occur and when you might be eligible for workers’ compensation. According to the Bureau of Labor Statistics, an average of four out of every 100 autoworkers is injured badly enough each year to require days away from the job, restricted duty, or transfer. At Honda in Ohio alone, that would mean approximately 400 workers each year. The most common accidents in auto plants include contact with an object, overexertion, slips, trips, and falls, and repetitive motions. When Do You Qualify for Workers’ Comp? If your injury occurred in the course and scope of employment, workers’ comp covers the costs of medical treatment. If your injury forces you to miss at least 14 consecutive work days, you also may be eligible for wage replacement benefits. Certain types of injuries—such as soft tissue injuries and carpal tunnel syndrome—are harder to document and prove than others. If your employer is making you feel like you're faking an injury, or their "line side review" concludes your condition just can't be work-related, you may need the help of an experienced workers’ comp attorney. At Monast Law Office, we understand the stress and strain of automotive assembly jobs and will help you get the workers’ comp benefits you deserve. If dedicated service to your employer has caused a severe injury, call us today to schedule a free consultation in our Upper Arlington office. Can I get workers’ comp if I was injured at a temp job over the holidays? Yes. Under Ohio workers’ compensation law, employers required to carry workers’ comp insurance must provide coverage to all of their employees, including those who work part-time or who were hired on a temporary basis. At certain times of year, many Columbus-area companies bring on additional workers to manage an increased workload, and the jobs they do can be stressful and demanding. Whether you're a college student working over winter break or someone taking on an additional job to earn extra money, if you're injured in the course of your employment, you may collect workers’ comp benefits. Given the reasons companies hire seasonal workers, not surprisingly, individuals are at particular risk for on-the-job injuries. Crowded malls and stores, increased online orders, expanded deliveries, and special seasonal sales push employers to add to their workforces in the weeks between Thanksgiving and New Year’s Day. In this rush, companies often fail to adequately train their temp workers, putting them at risk of injury. Order fulfillment centers. Companies such as Amazon add hire over 100,000 seasonal employees across the U.S. to help with holiday demand. Individuals in fulfillment centers can work long hours doing strenuous tasks. Christmas tree lots. Seasonal workers cut down trees, transport them, and load them on top of cars often in cold temperatures. They can suffer sprain and strain injuries, and more severe falls and power tool accidents. Stockrooms. Major retailers such Target and Wal-Mart must keep inventory moving from delivery trucks to the store floor. They often do this by hiring temporary night staff to unload products and stock shelves. Restaurants. Wait staff members and kitchen workers are pushed to their limits during the busy holiday season, and untrained temp workers may be brought in to help. Inexperienced restaurant workers can experience slip and falls, knife accidents, and back injuries. Stores and malls. Temporary retail workers are often given the worst jobs during the holiday season, including stocking shelves, working door security, and cleaning after closing. These tasks can lead to severe injuries. If you're injured while working a temporary seasonal job, it’s vital that you report the injury to your employer and seek medical care. If you encounter any resistance—including being told that you can’t file for workers’ comp because you're a temporary employee, or being accused of faking an injury—contact me soon. Don't stand for employers lying to you or about you. Why was my workers’ comp claim for a hernia denied? When a workers’ comp claim is denied in Ohio, it's usually because the applicant failed to prove the injury happened at work, and that it's severe enough to warrant benefits. 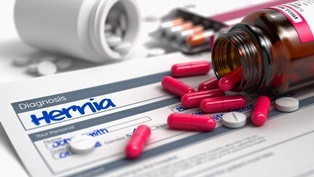 This could be a particular problem if you're applying for benefits for a hernia injury because the symptoms of a hernia are often vague enough it can be difficult to connect it to a workplace incident. However, if your hernia occurred while you were on the job and you're unable to work because of the injury for at least 14 consecutive days, you qualify for workers’ comp in Ohio. Let’s take a look. 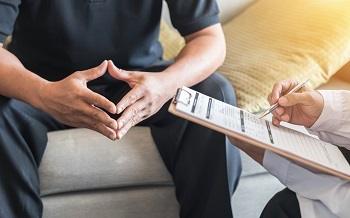 A hernia is a general term for when an internal organ or fatty tissue squeezes through an opening or weak spot in the muscle or connective tissue that usually contains it. Hernias usually occur in the abdominal cavity, but can also happen in the groin, upper thigh, or belly button area. A bulge or lump in the affected area. Weakness or pressure in the abdomen. A burning or aching sensation at the site of the bulge. Doctors can usually diagnose a hernia with a physical examination. If a hernia is growing larger or causing pain, surgery to repair the tissue may be required. When Did Your Hernia Happen? The sticking point regarding qualification for workers’ comp benefits due to a hernia is whether the injury happened performing your job duties. Similar to heart attacks and strokes, it's challenging to make a direct connection between the injury or illness and your job. If you feel a sharp pain in your abdomen or groin while lifting something at work, report it to a supervisor and see a doctor. If you first notice the bulge or lump when you're not at work, try to recall what you were doing at work that may have caused a hernia. See a doctor soon for a thorough exam. Tell him or her you believe the injury is work-related. Complete an incident report at work and explain what happened. As with any workplace accident, it's vital that you report the injury, see a doctor, and document everything. If you were denied workers’ comp for a hernia, or are having trouble getting accurate information from your employer, call us at Monast Law Office. We've handled lots of hernias (so to speak), can answer your questions and help you get on the right path to workers’ compensation approval. I got hurt on the job working for a subcontractor without workers’ compensation coverage. What do I do?? 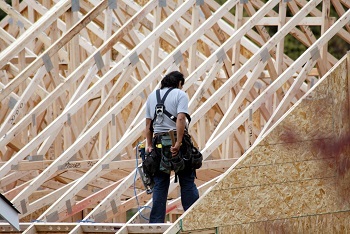 Ohio Revised Code §4123.01(A) treats general or prime contractors as the employer of workers hired by subcontractors or independent contractors who have failed to obtain coverage as required by law or who have permitted their coverage to lapse, unless the employees or their legal beneficiaries elected to regard the subcontractor as their employer. This means the general contractor is considered, as a matter of law, to be the employer of the injured employees of the subcontractor who failed to maintain coverage (unless the employees affirmatively elected to have the non-complying subcontractor treated as their employer). Claims for these injuries by the sub’s employees would be covered by the general. The Ohio Supreme Court upheld this provision as constitutional in 1932. This provision applies presuming both the general contractor and the subcontractor must have coverage. The few exceptions to the general requirement that all employers must provide workers’ compensation coverage are found in §4123.01. The general contractor’s risk includes the cost of claims brought by the subcontractor’s employees just as if they had been employed directly by the general contractor. S/he also remains liable for the subcontractor’s unpaid premium based on the subcontractor’s payroll. This provides an obvious incentive for general contractors to insure their subs have proper coverage. A devious self-employed subcontractor could elect to cover herself but permit her coverage to lapse by defaulting on her premiums and then recover against the general contractor. Just don’t try this trick against Tony Soprano or you may end up with cement shoes! I travel to different worksites during the day. Would I be eligible for workers’ comp if I'm injured in a car accident between sites? It all depends. In Ohio, if your work duties don't begin until you reach a specific work location designated by your employer, you're not covered for injuries sustained while traveling to or from that location. This is known as the “coming and going” rule, and it applies to all “fixed-situs” employees. Most workers who travel between work sites are considered fixed-situs employees in Ohio, but there may be exceptions. Are You Considered a Fixed-Situs Worker? Some workers are clearly fixed-situs employees. For example, if you work in an office, restaurant, or store like Walmart, and your duties don't begin until you enter the building, you're a fixed-situs employee. If you're in a car accident on your way to work, or fall in the parking lot outside your building, your injuries probably won't be covered by workers’ comp under the coming and going rule. However, there are several situations where offsite injuries are covered by Ohio workers' comp. You're clearly a non-fixed-situs employee if your duties aren't tied to a fixed location. For example, if you drive a truck for UPS, an ambulance for MedCare, or a taxicab for Express Cab, your worksite is your vehicle and the places you visit as part of your job. If you're in a car accident or have a bad fall while on the clock, your injuries should be covered by workers’ comp. It gets trickier when we look at workers whose jobs require them to be at different locations throughout the day, or from one day or week to the next. Construction workers, home health care aides, repair technicians, housekeepers, and similar workers report to various locations to complete their job duties. It may seem like this would give these employees the non-fixed-situs designation, but Ohio courts sometimes determine otherwise. Even though these workers don't report to the same physical location every shift, they're usually not on the clock until they arrive at their designated location. Because of this, they're subject to the coming and going rule. 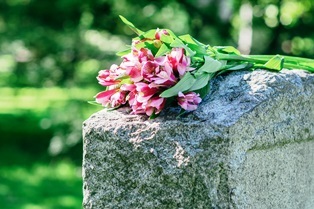 If injured in a car accident while traveling between work sites, they are typically ineligible for workers’ comp–but, again, there are exceptions. If a worker is paid for travel time or reimbursed for travel expenses, it could be argued they're performing work duties and on the clock while driving from one site to another and, if injured during travel, they may be eligible for workers’ comp. If you find this confusing, welcome to the club! The Industrial Commission and Ohio courts seemingly can rule one way one day and another way the next given the very same set of facts. These cases are very fact-specific and decisions can turn on nuances. Employers and the BWC are quick to deny such claims even when they're legitimate. If you have questions whether you're subject to the coming and going rule, it's worth your time at least to consult with an Ohio workers’ comp attorney. This can be a complicated issue even for experienced lawyers and judges, and you deserve to understand your rights as an employee. 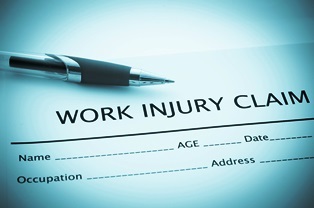 When you call Monast Law Office, you can get answers to your workers’ compensation questions. We also invite you to download a complimentary copy of our book, The Worker’s Guide to Injury Compensation in Ohio to learn more. What is the Ohio Disabled Worker Relief Fund? In Ohio, when a worker is awarded permanent total disability (PTD) status, he isn't expected to return to work. Along with paying medical bills associated with the illness or injury that caused the disability, the worker is also entitled to wage replacement benefits from the Bureau of Workers’ Compensation (BWC) or his self-insured employer. These benefits are calculated based on the worker’s earnings before the injury or illness and never increase as the years go by since compensation rates are governed by the year of injury. As such, they don't adjust for increases in the cost of living and the injured workers' earning power diminishes as time goes by. 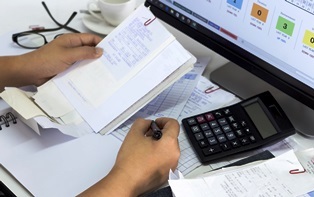 If the PTD amount falls below a certain level, the worker may qualify for a cost of living adjustment in the form of supplementary benefits from the Disabled Worker Relief Fund (DWRF). In Ohio, a worker with PTD status receives 66-2/3rds percent of his pre-injury average weekly earnings, up to a set maximum amount ($932 in 2018). For example, if the worker was earning $1,200 a week at the time of his injury, he would get $792 in workers’ comp benefits. However, the BWC also sets a minimum benefit payment based on the cost of living, so if a worker was earning less than a certain amount during his disability, he would be given supplemental income from the DWRF. In 2018, the minimum wage replacement benefit is $466. If 66-2/3rds of the workers’ weekly earnings is less than $466, he should get additional money from the DWRF. Low-income workers granted PTD status need not apply for DWRF benefits. If their income is determined to be below BWC minimums, they should automatically qualify for the supplemental income. However, if an injured worker isn't granted DWRF benefits and believes he should have been, the BWC decision can be appealed. If you believe you should have received supplemental income—or you're struggling with the workers’ comp application process in another way—the Monast Law Office may help get the benefits you deserve. You shouldn't be made to feel like you've done something wrong because you were injured on the job. Call us to discuss your situation today. If we can help, we will.